Want to get into a new sporty car for an affordable price? The Nissan Maxima is definitely the top choice for that. The base engine delivers all the power and acceleration you need in a sedan, but Maxima took it a step further and went with an engine that can put out 300-horsepower. This 3.5-liter V6 engine also has CVT giving it a smooth transition as you accelerate and handle the roads with ease. 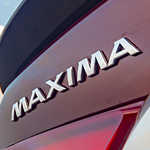 Maxima has been known for its affordable power in the past, but this is the first time that you'll see so much horsepower in a base engine for a vehicle. Nissan has been upgrading its lineup's performance and has also done some work with the suspension, choosing to go with better handling and power over some of the other design upgrades that other carmakers are doing at the moment. Want to give it a test drive? Stop by Gregoris Nissan.